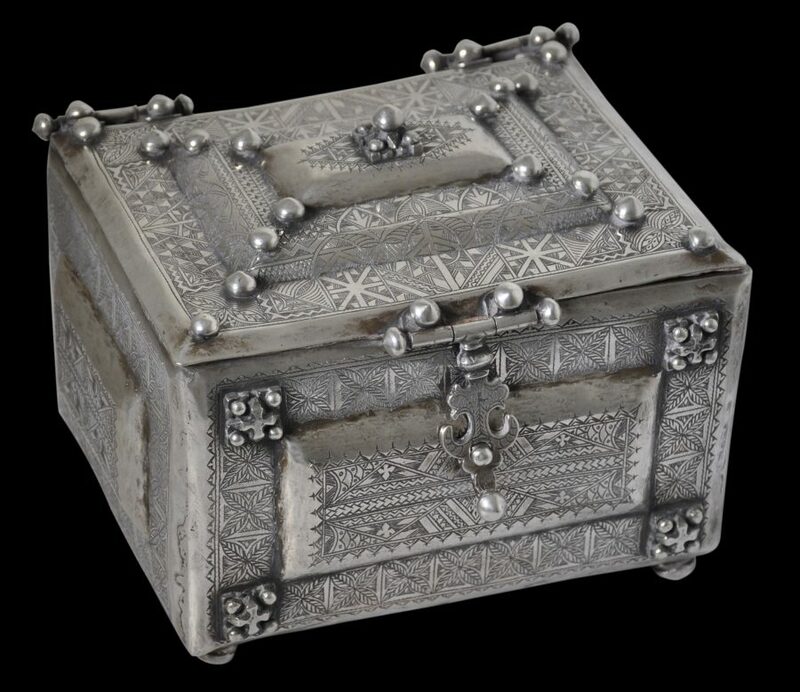 This rare, silver-alloy box is from one of the groups of Mauritania and thereabouts, most probably the Sahrawi people, a Tuareg sub-group. It sits on four ball feet. Each of the four sides has a raised panel. 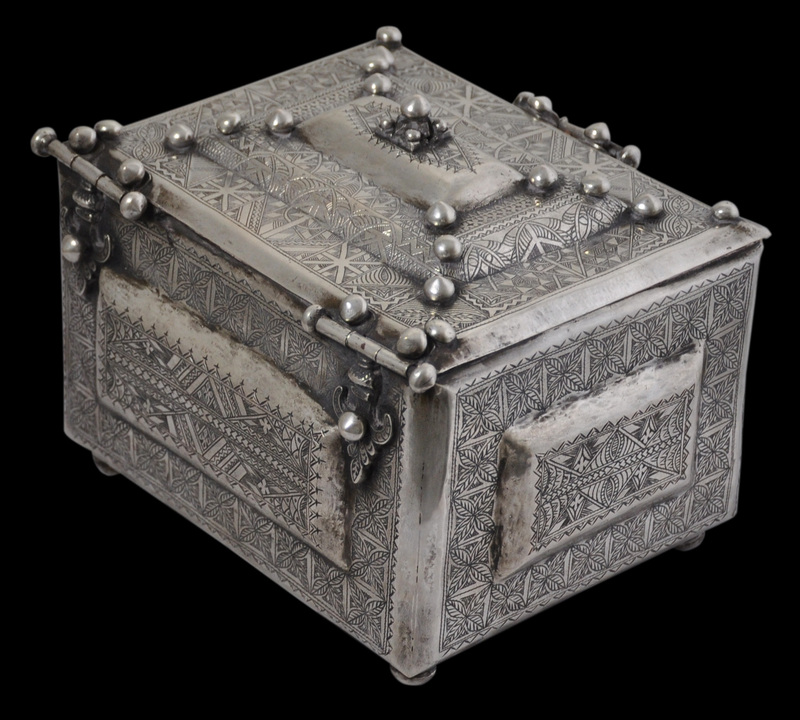 The hinged lid has a tiered central panel and is further decorated by rows of spherical and domed silver applied nodes. The front of the box is decorated with applied silver crosses and further spheres. 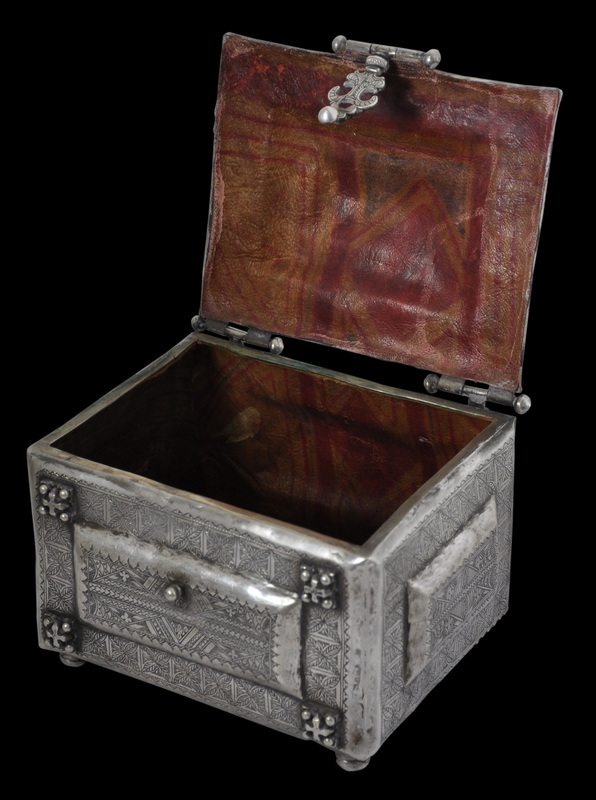 The lid has prominent hinges and a prominent hinged fastener at the front. The interior has been lined with a naturally dyed red and yellow leather lining. The use of natural dyes suggests the lining is certainly pre-1950 but in any event probably is later than the box itself. The box has been engraved all over with leaf and geometric patterns – all in keeping with Islamic precepts about appropriate decorative technique. 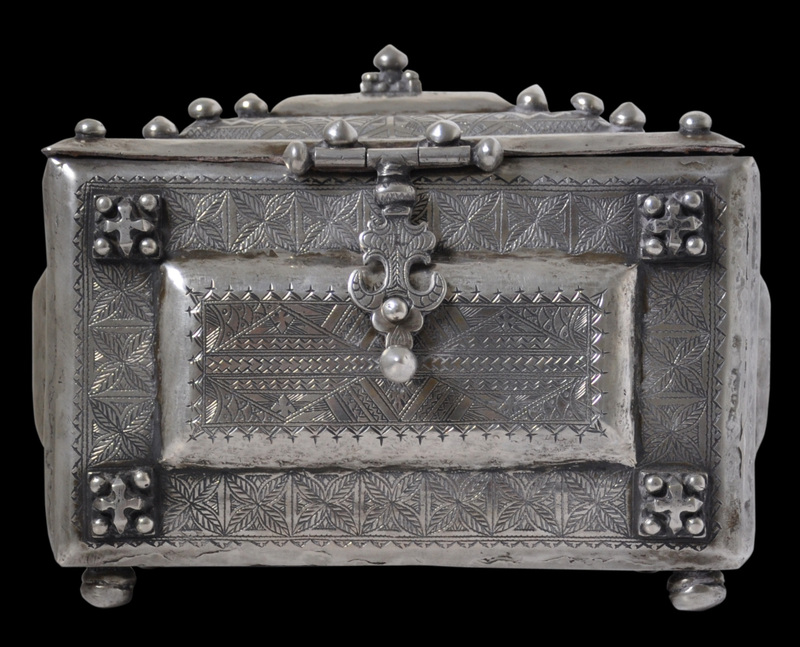 The hinges and fastener at the front have been engraved with tiny protective ‘eyes’. The uses of the box might have been variable. But it was an expensive box when it was made – lesser and more typical examples were made of wood. 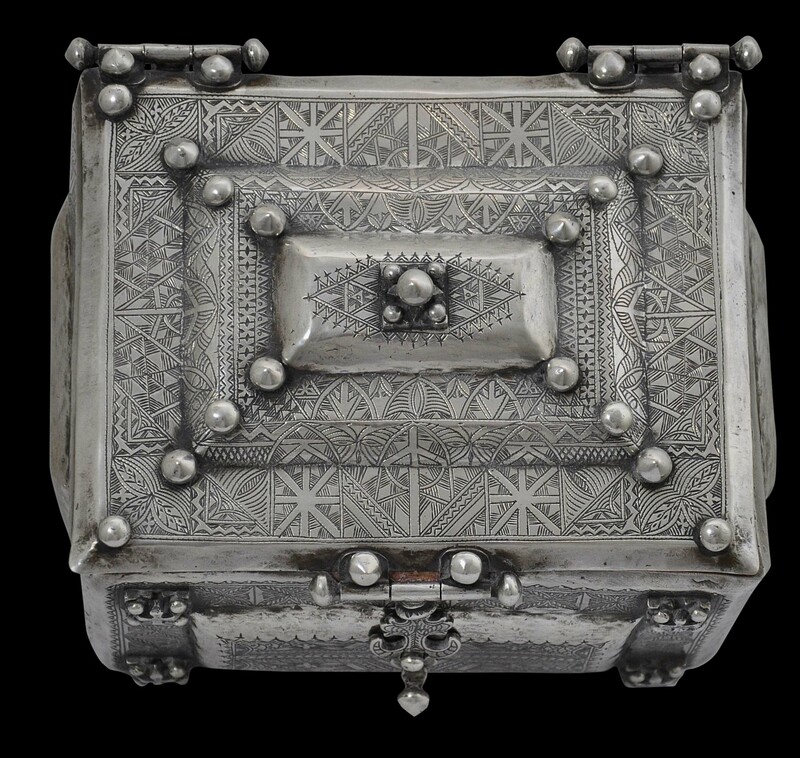 Possibly, it was designed to hold a Koran and might have even been stored in a mosque. 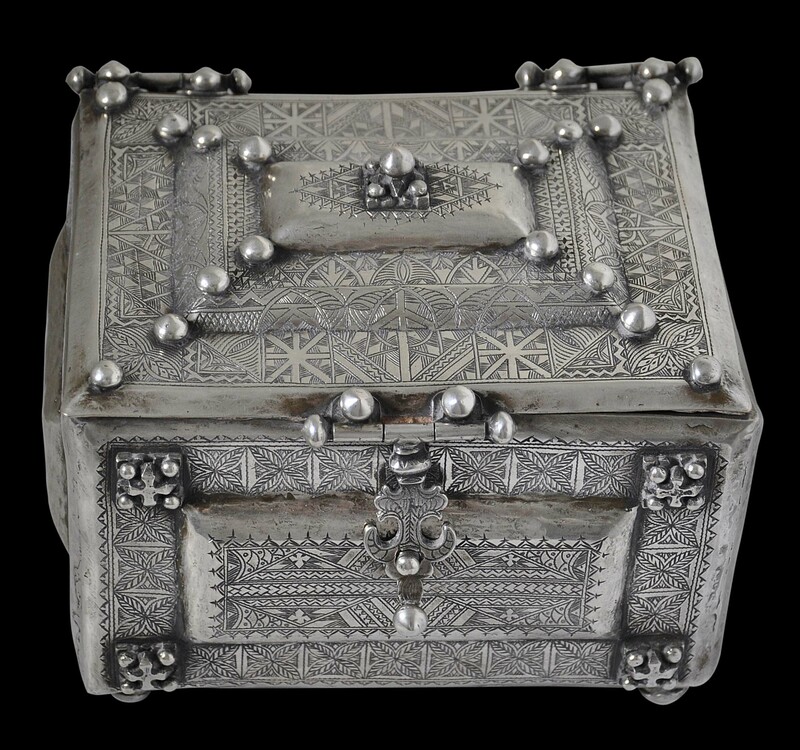 Alternatively, it might have been used to hold tea leaves – an expensive and important commodity in Saharan Africa. (It is possible that the leaves shown in the design on the box are tea leaves.) Another possibility is that it was made to hold amber which was mixed with tea. 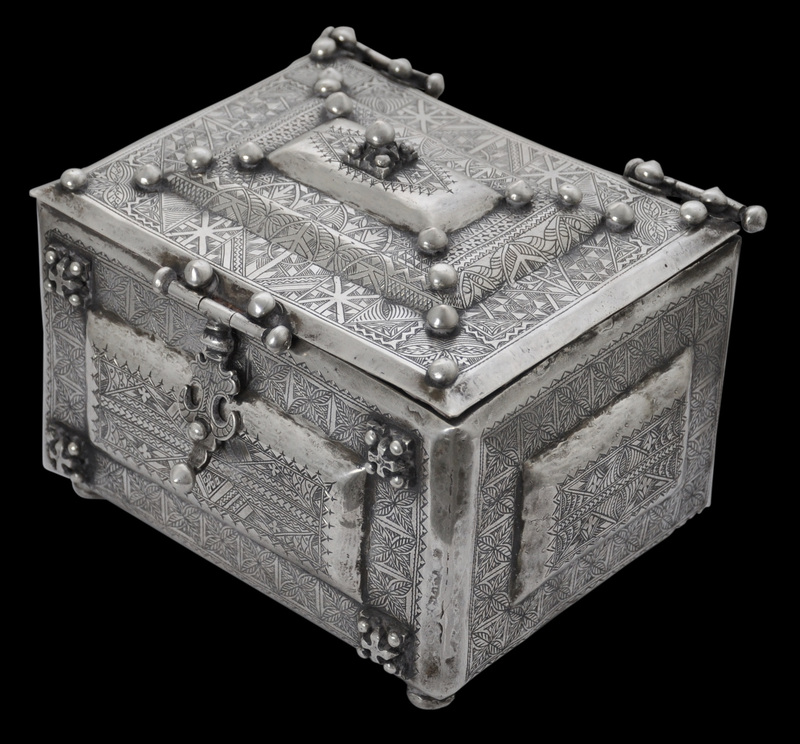 The designs suggest the box has come from a Tuareg group, possibly the Sahrawi people. The Sahrawi cover most of Mauritania, southern Morocco and a small part of Algeria. Sahrawi culture is mixed and has mainly Arab, Berber and Berber influences. They are Sunni Muslims of the Maliki rite or school. Today, their total number is around 500,000. 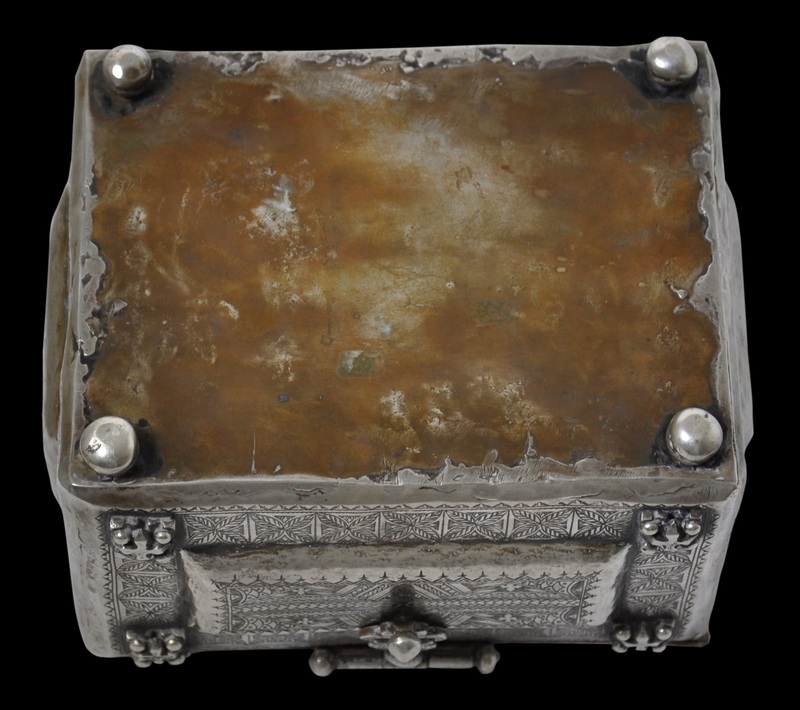 The box is in excellent condition and has a fine patina consistent with significant age and use. The silver content tests at approximately 65%. We are aware of no similar examples that have been published. Grammet, I., & M. de Meersman (eds. 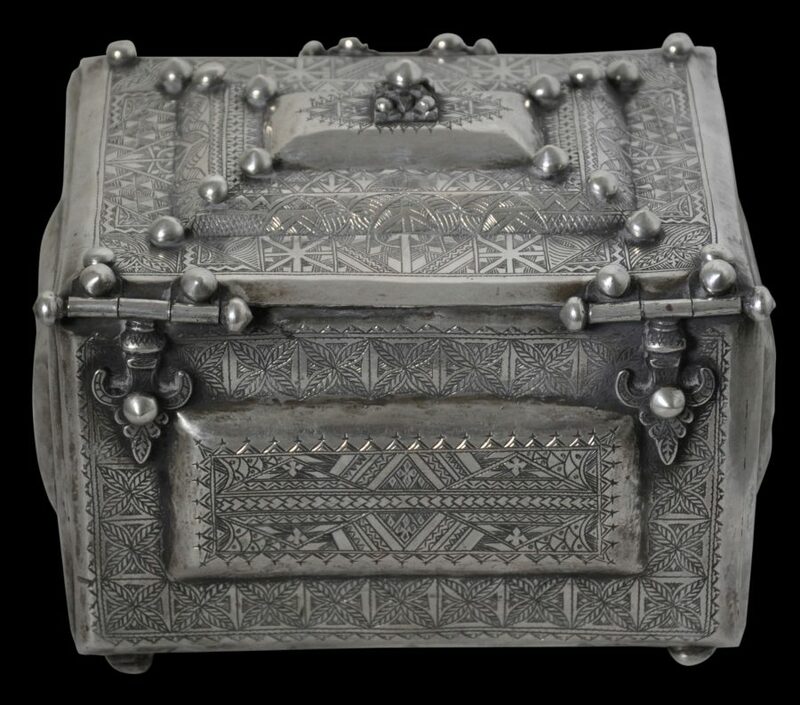 ), Splendeurs du Maroc, Musee Royal de l’Afrique Centrale, 1998.